New York : Scientists have discovered a ‘third gene’ that leads to the development of the common neuro degenerative disease, a study said. The study provided evidence that mutations in gene TMEM230 caused Parkinson’s disease a disorder of the central nervous system that affects movement, often including tremors. “The study showed that mutations in this new gene lead to pathologically and clinically proven cases of the disease,” said led researcher Teepu Siddique, Professor at Northwestern University in the US. The findings showed that the gene is responsible for producing a protein involved in packaging the neurotransmitter dopamine in neurons. Loss of dopamine-producing neurons is a defining characteristic of Parkinson’s disease. Also, individuals with this gene mutation showed both clinical characteristics of the disease symptoms like tremors, slow movement and stiffness as well as pathological evidence in the brain loss of dopamine neurons and abnormal accumulations of proteins inside surviving neurons. 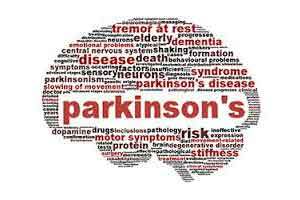 “This particular gene causing Parkinson’s disease is not just limited to one population in North America,” Siddique said. Further, TMEM230 was also found to encode a protein that extends across the membrane of tiny sacks inside neurons called synaptic vesicles, which store neurotransmitters before they are released from one cell to another. The scientists hypothesised that the protein is involved in the movement of these vesicles. “We believe that vesicle trafficking defects are a key mechanism of Parkinson’s disease, not just for cases with this mutation, but a common pathway for the majority of cases,” added Han-Xiang Deng, Professor at Northwestern University. “Our new findings suggest normalising synaptic vesicle trafficking may be a strategy for future therapeutic development. We can develop drugs to promote this critical pathway,” Deng noted in the paper detailed in the journal Nature Genetics. In the study, which stretched for 20 long years, the researchers performed genome-wide analysis on 65 members of a family, including 13 with the disease, in hopes of finding a common mutation that could explain the prevalence.